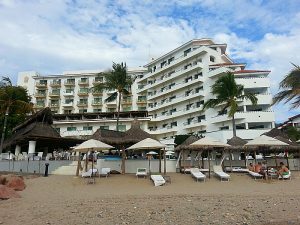 When I’m traveling, I enjoy exploring on my own part of the time along with planned tourist activities. 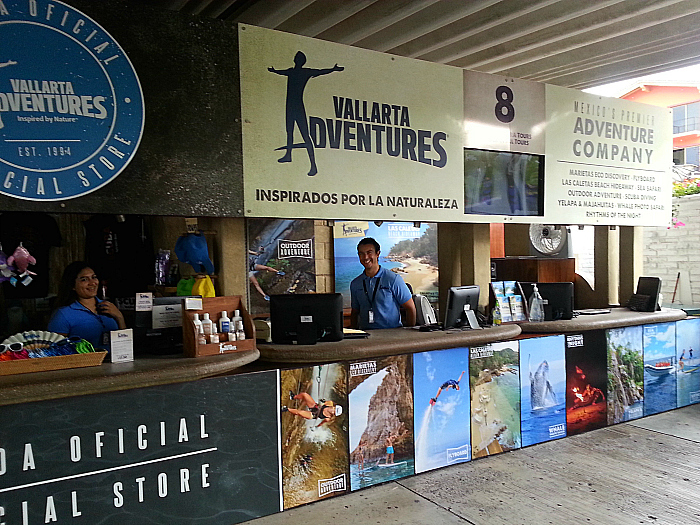 Vallarta Adventures in Puerto Vallarta, Mexico has a big selection of activities for all ages. 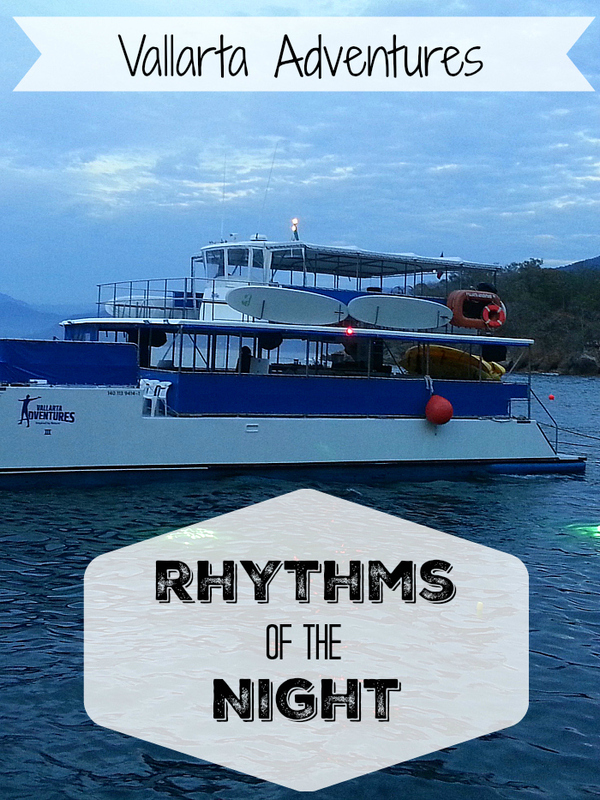 At the last minute, we decided to join them on the Rhythms of The Night tour. 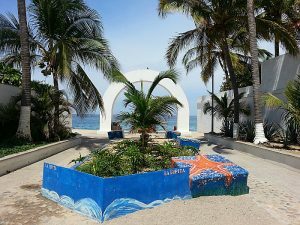 This is a five hour cruise, show and dinner that departs from the cruise terminal area north of downtown Puerto Vallarta. Check in was easy at the terminal. There was a restaurant and shopping along with plenty of seating for those of us who arrived early. 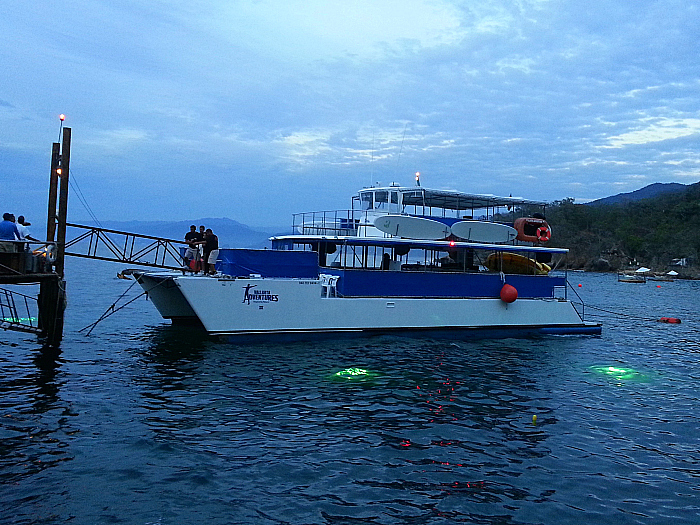 Once it was time to board, our guide gathered us together to lead us to the catamaran that would take us on our journey. Snacks and beverages were available on board and the staff kept us entertained. 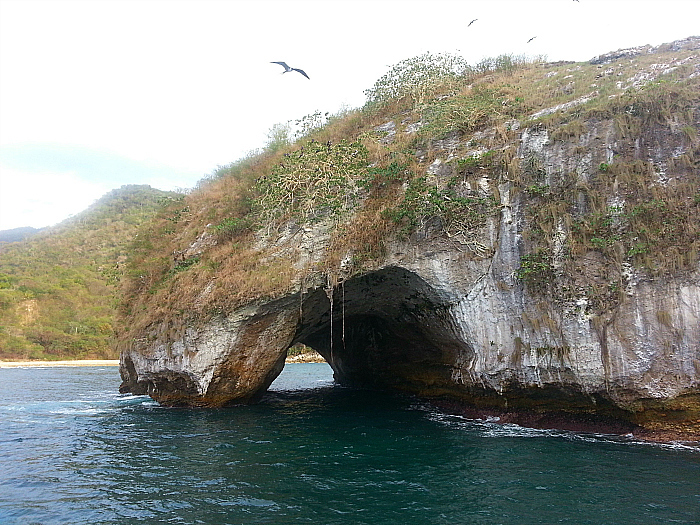 Before we reached our destination, we passed between the two small islands that make up the Los Arcos Marine Park. It was beautiful and the hundreds of birds we saw were clearly making the best of the area that has been preserved for them. 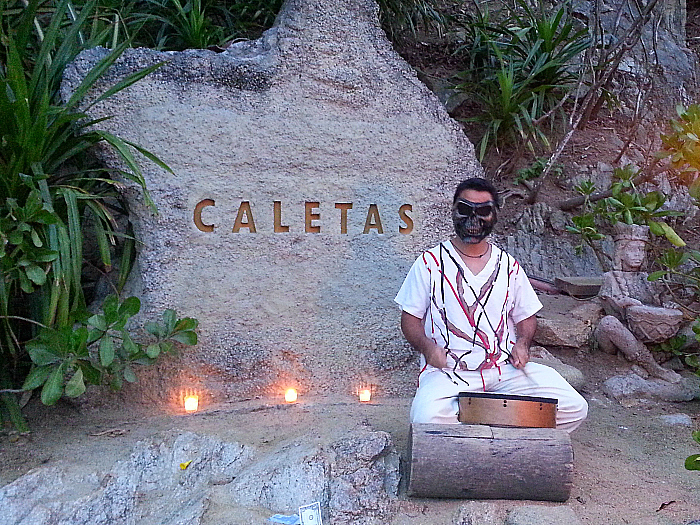 Our final destination was Las Caletas. 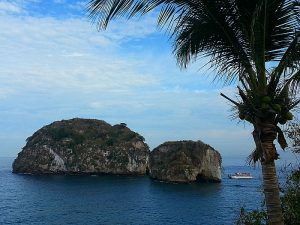 This is a private cove south of Puerto Vallarta that is only accessible by sea, as there are no roads that go into this area. It is beautiful! 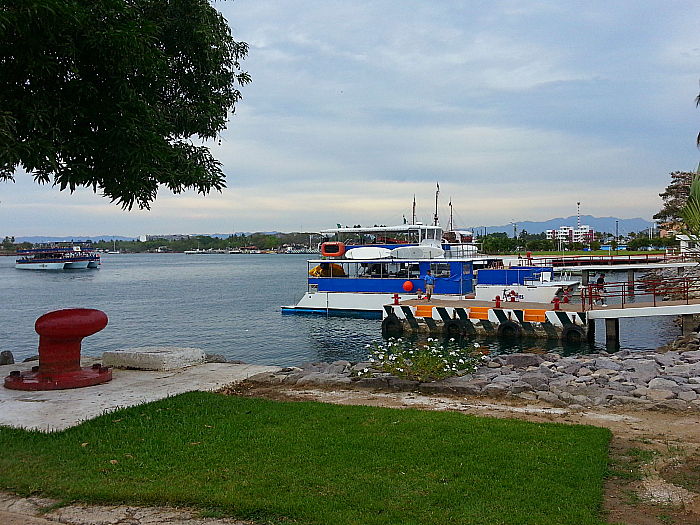 There are other types of tours that come here during the day. As the sun was going down, it felt magical. Performers were stationed along the path to the outdoor amphitheater. We sat towards the back, which I would recommend so that you can see everything that is going on around and above you. The show tells stories of the ancient civilizations from the area through dance and music. The style reminded me of Cirque du Soleil with the amazing skills of the athletic dancers and their beautiful costumes. After the show, we had a delicious outdoor meal by candlelight. Beverages were brought to the table and the food was served buffet style. Guests piled their plates high. 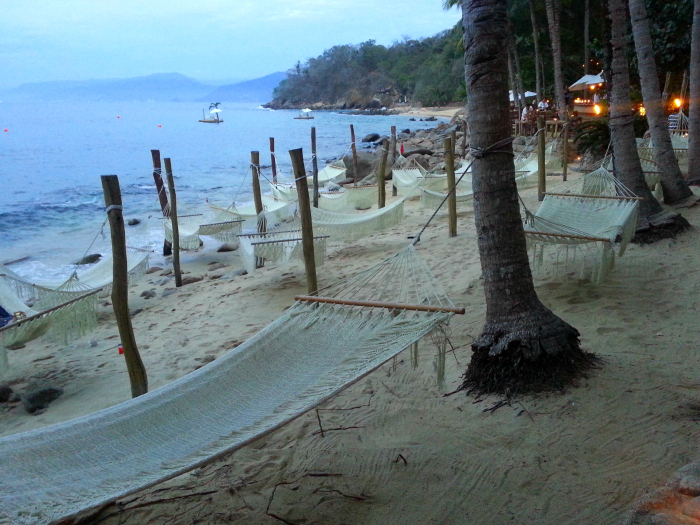 We had some time to relax before heading back, so I enjoyed a hammock in the dark while listening to the waves lap gently on the shore. The crew put on an entertaining show for us on the ride back. Blankets were provided for those who wanted them. This activity is open to ages 6 and up. It was mostly adults, but the few children I saw were having a great time. 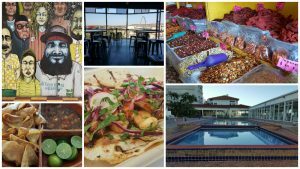 This was a unique experience for a couple or group and the whole evening was a lot of fun!